When we are out for a walk around the neighborhood, I feel dismay sometimes at the amount of litter I see. Once in a while the boys and I will grab garbage bags and go clean up around the neighborhood and its community mailbox, a high traffic area that seems to attract litter. It is important for me to reinforce to my children that we should respect our home and take pride in protecting it as much as possible. I think it’s a responsibility, not just the right thing to do. Now I realize that most of the word is not as fortunate to have access to sanitary facilities, and there are complex issues in less fortunate countries – well not really, just greed and poverty. 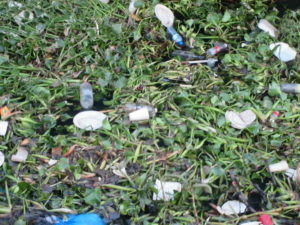 I was shocked recently, at the amount of garbage that I saw floating in waters we were visiting. I was recently in the Dominican Republic, on a dredge working in various areas of the country and I found it so sad to see such carelessness in the disposal of garbage. 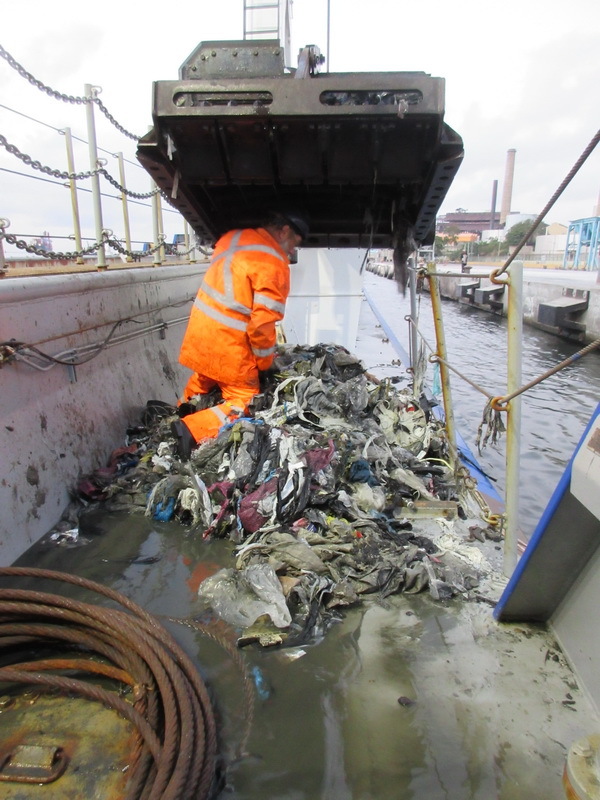 All round the ship, all matter of plastic waste floated around. Toys, diapers, shoes, toothbrushes, all sorts of containers, and all type and seemingly endless amounts of foam food containers. 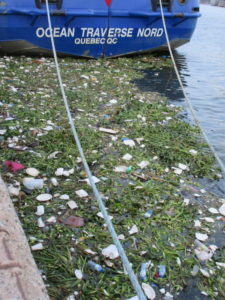 A huge amount of plastic bags, tarps floating around, some caused quite a hassle with our water intakes. There was so many pop bottle and water bottles floating up, filed with oil, from performing oil changes on motorcycle, the popular form of transportation in the area, and that was just the stuff that was visible. In Canada, you kind of get blasé about the constant message about litter and the importance of the three Rs: Reduce, Reuse, and Recycle. But in a place like the Dominican Republic you can really appreciate the scope of the problem. A problem that has to be more than just a consumer’s responsibility, the plastic industry must bear some responsibility of the problem, as do the marketers. This floating garbage also places focus on the importance of government, and its ability to perform basic functions like sanitation – for the health of its people and its environment, and in the end, the economic health of their very important tourism economy. Now, sadly, the Dominican Republic is just a small, “wealthy” country in the touristy Caribbean, compare to some many African, South American, or Asian countries, so the scope of the problem is massive, alarming for sure. 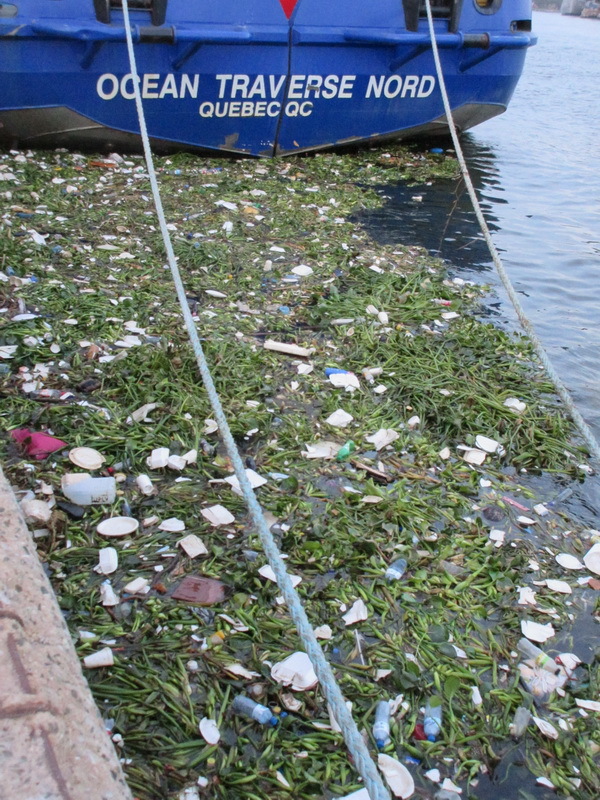 The great pacific garbage patch may be out sight, out of mine, but this view of this little harbour in Santo Domingo, has to be worrisome to the average person. These things just don’t impact “other people”; they will end up impacting you and me equally no matter where on earth we call home. 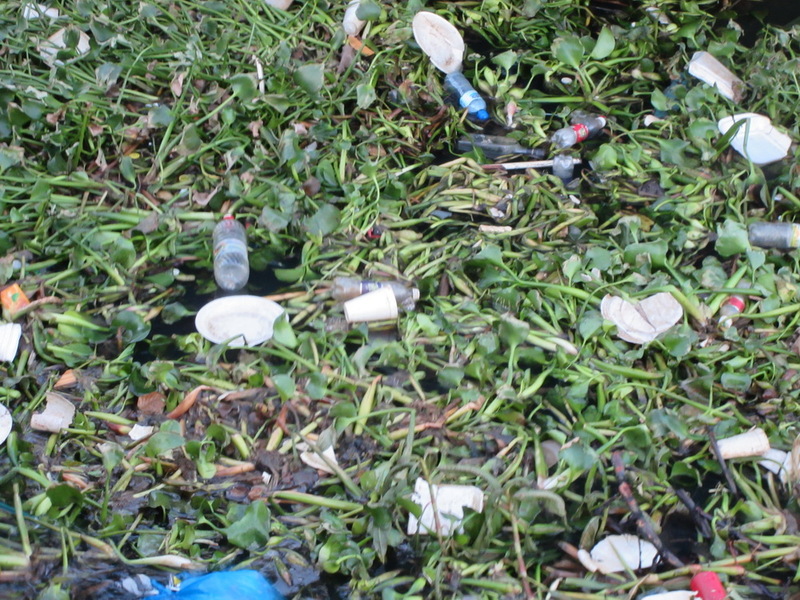 In this article from Maritime Executive the dangers of plastic in our oceans is discussed. As individuals, we all have a responsibility to look after our environment and I think generally, seafarers are pretty good at this from my experience, now if we could only influence the landlubber crowd to do the same.